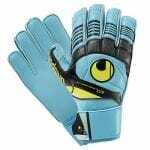 If you’re looking for quality, goalkeeping gear, you’ve come to the right place. Like Mark Schwarzer at his best, we’ve kept the high prices out of the net to help you find goalkeeping gear that won’t break the bank. Check out our range of shirts, pants, shorts and gloves.